The Christmas season seems to start earlier every year, with the big high street names putting more emphasis on their holiday advertising campaigns. 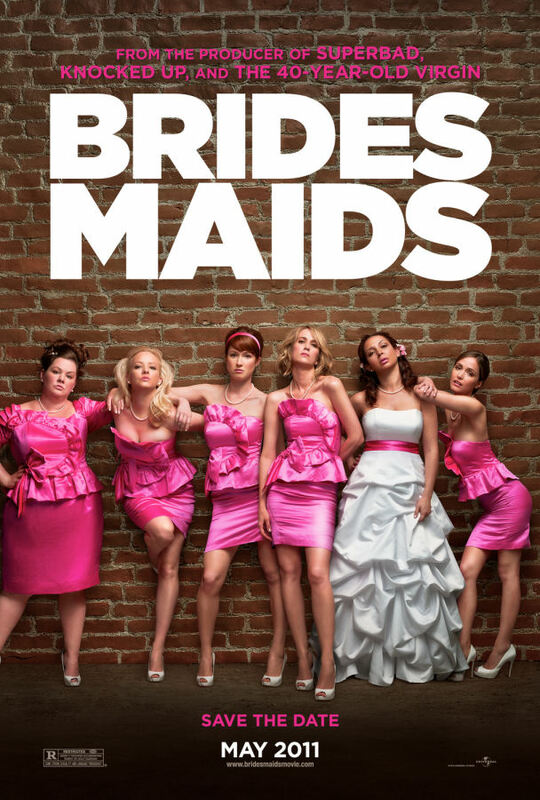 The rise of social media and online sharing means a video or image can go viral overnight, and this has created an arms-race of sorts on which advertising campaign can become the most shareable. Video advertising on TV and online are become events, for some people Christmas doesn’t start until the Coca Cola advert comes on our screens, while the John Lewis adverts have taken the company away from its stuffy image. 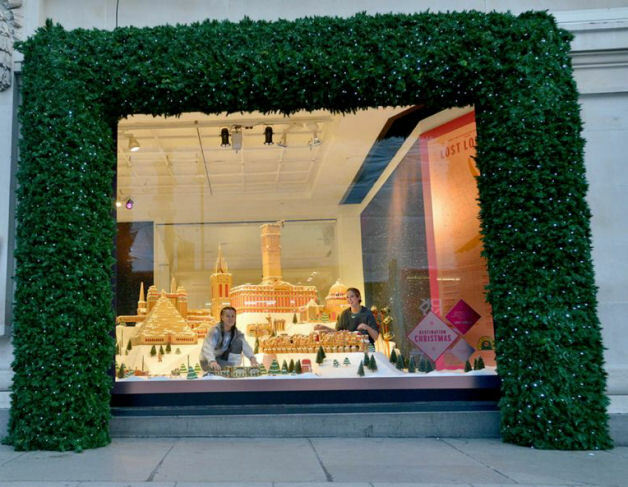 As well as traditional video advertising, window displays for the Christmas or holiday season are becoming something that can be shared online with videos for the Macy’s window display (pictured above) generating thousands of views on YouTube. It is interesting to note that the majority of these videos are created by people with no commercial ties to Macy’s, so word of mouth is being created directly off the back of their window display. 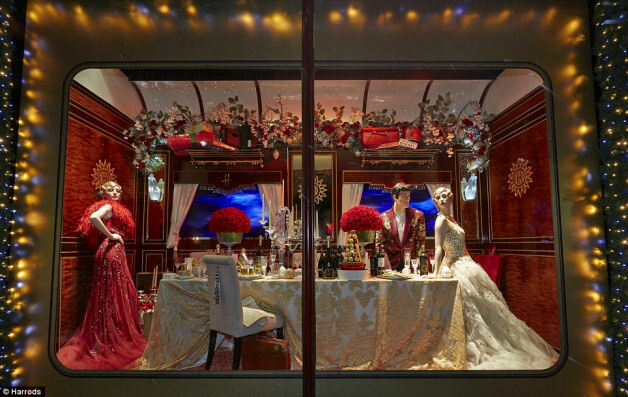 Sit back, put on the Christmas Carols and fill up your glass with mulled wine while we take a look at some of the best Christmas window displays from the world of retail. 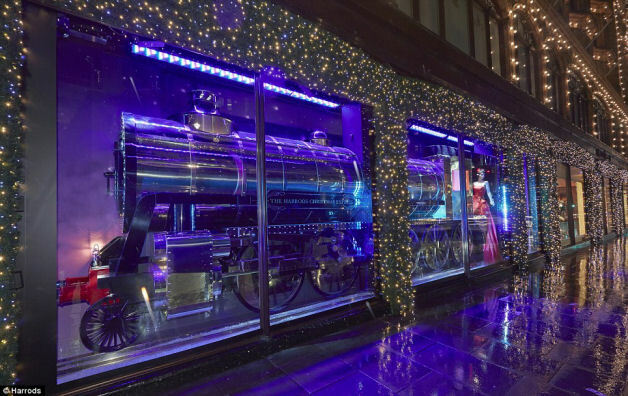 The premier Knighstbridge store has taken inspiration from the classic steam train featuring carriages that set a magical vintage scene. The display took a team of 50 people more than 500 hours to create. 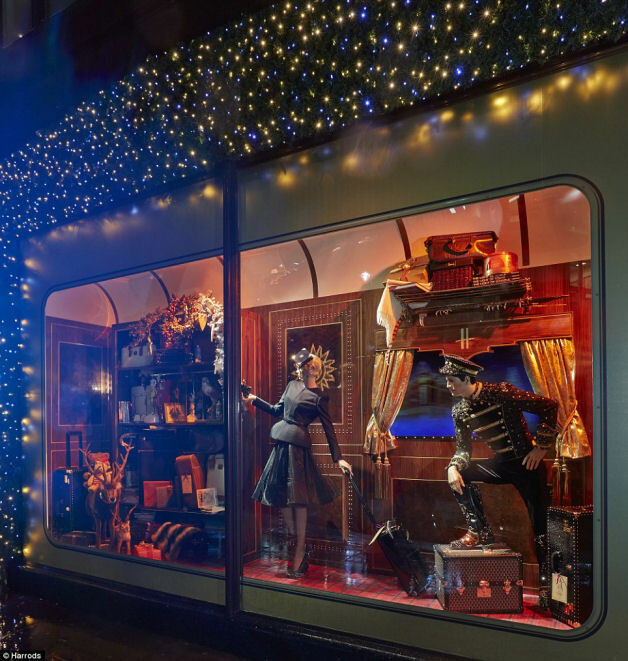 A British department store institution, Fenwick’s Christmas window displays have been a crowd-drawing event for over 40 years now. 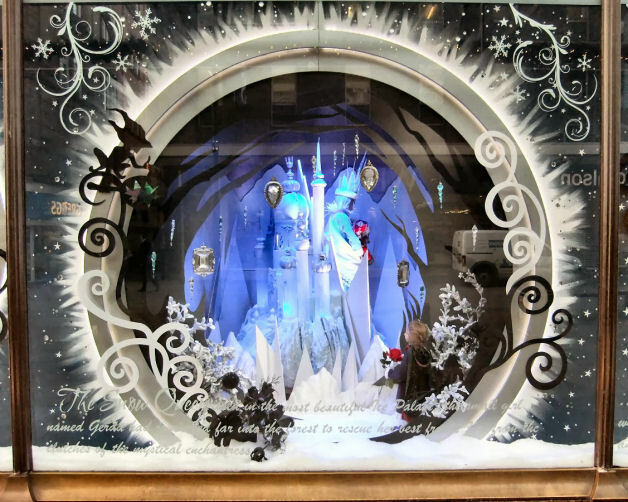 For their 2013 display they have opted for a wintery Grimm’s fairy tale theme complete with Snow White and Jack Frost amongst others. All images courtesy of Photographs of Newcastle. 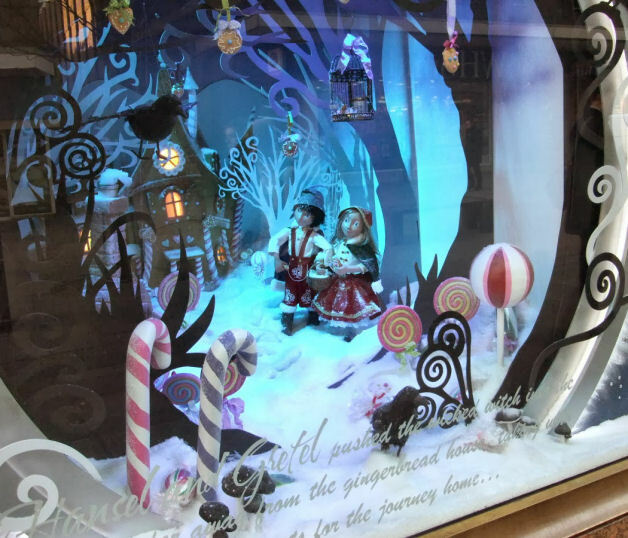 This video by Nicky Dass gives a great view of the attention to detail involved in bringing the display together. 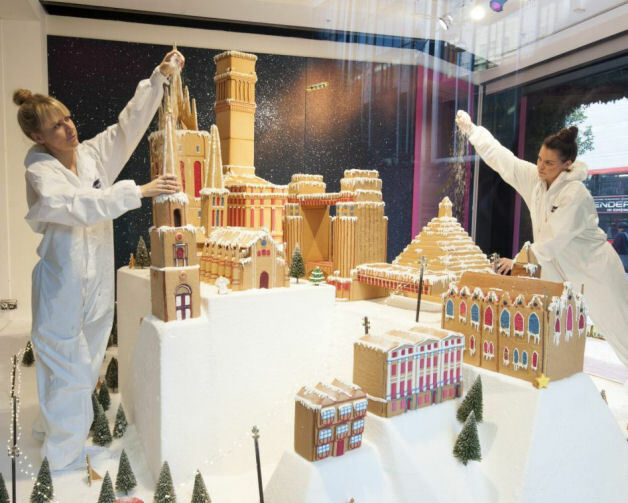 Their flagship Oxford store has served up a tasty treat this year, with food creatives Bompas & Parr and Biscuiteers teaming up to create Lost London, an homage to demolished buildings and planned architecture that never came to fruition. 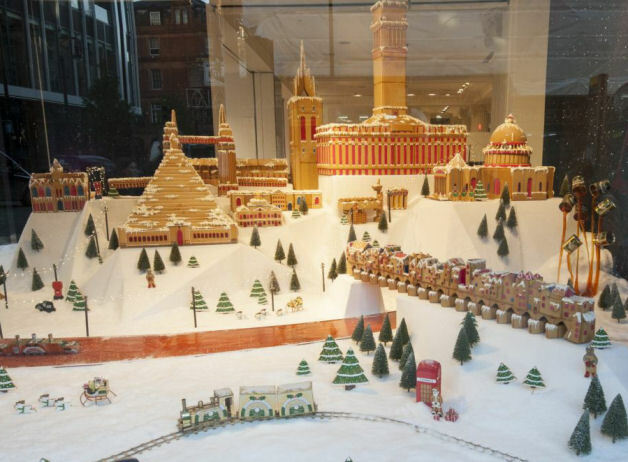 The gingerbread city with a golden syrup river Thames took over 400 hours to complete using over 350kg of gingerbread and includes Euston Arch, Old London Bridge and Newgate Gaol amongst overs. After last years Christmas advert, this years offering was the most anticipated by the British public and they didn’t fail to deliver with a tale about a hibernating Bear’s first Christmas thanks to his pal Hare and has already racked up over 7 million views on YouTube. Their Christmas window display in the Oxford Street store also features the Bear and the Hare prominently as part of their winter woodland theme. 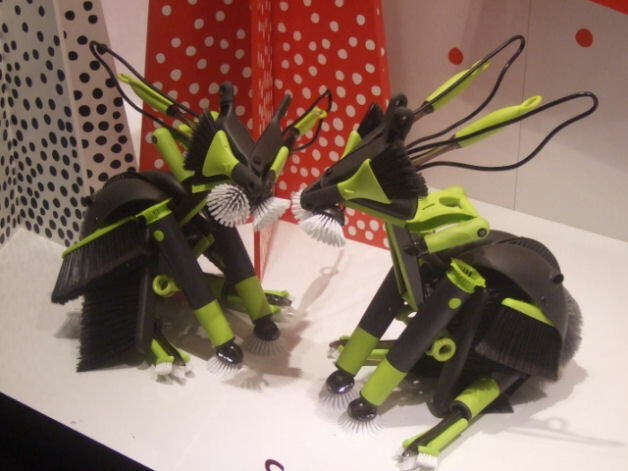 What makes this years window display so unique is that the animals have been created from everyday household objects including Dyson vacuum’s, hairdryers and cups. All images courtesy of Wendy Hewson. 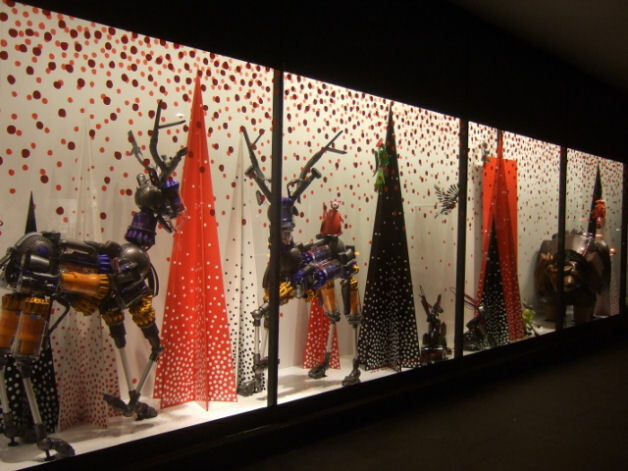 You can view the behind the scenes video below courtesy of John Lewis and see how the team put together one of the most creative window displays this holiday season. If that hasn’t put you in the festive spirit, be prepared for a visit from the ghost of Christmas past. 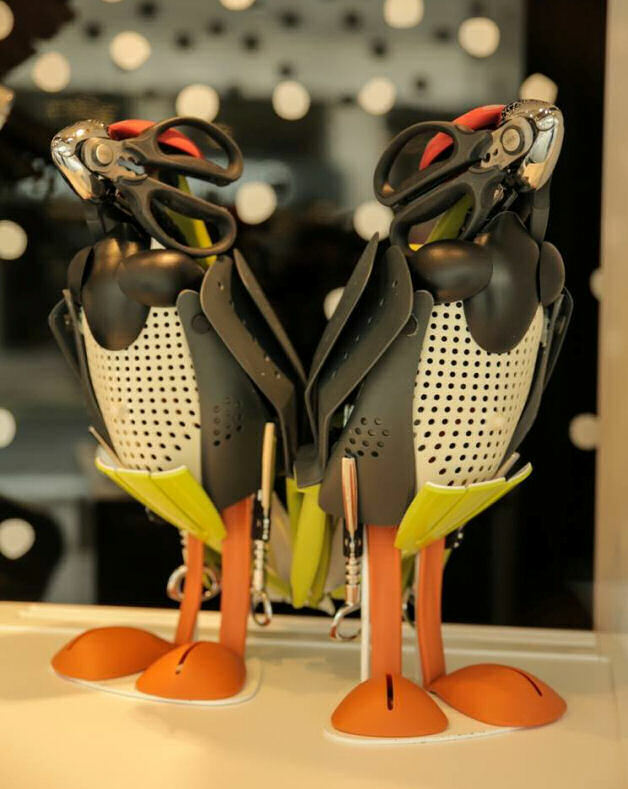 If you find yourself near any of these flagship stores make sure you check out the window displays and let us know what you think. 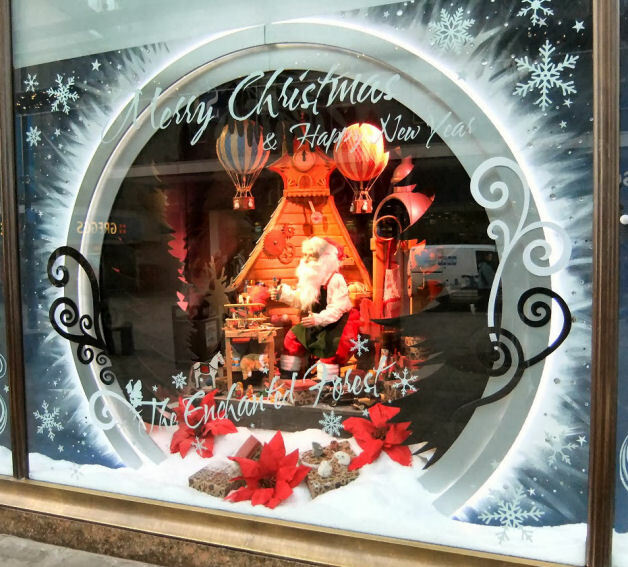 Also if you see any Christmas themed windows that blow you away, share it with us in the comments or send us a picture on twitter: @displayexperts and we’ll include it in our list. 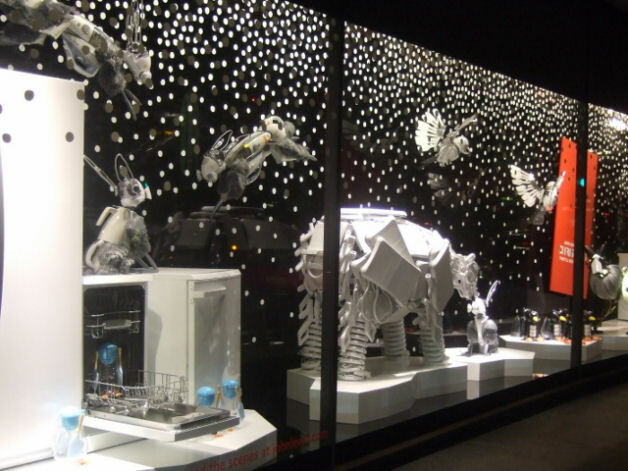 Those are some amazing displays for Christmas windows. We don’t have nearly enough of them in retail locations. Some of those are really well done. They must take months to plan and develop just in time for Christmas.